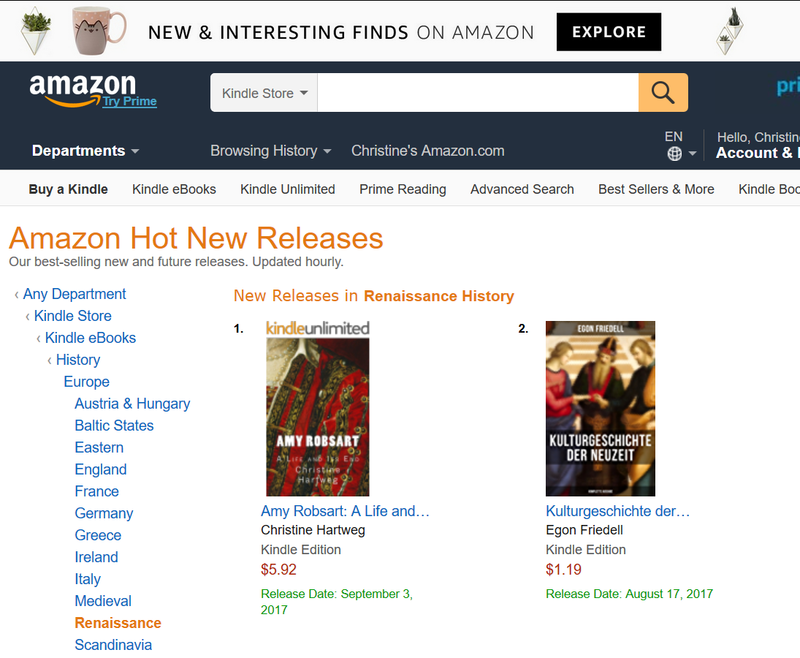 ← Almost There … Amy Robsart Book! This entry was posted in Amy Robsart, my book. Bookmark the permalink. Just got both your books on my kindle yesterday … and I am about half-way through the Amy Robsart one. It is very good … I really found it interesting that an accident was reasonable even if she was healthy!